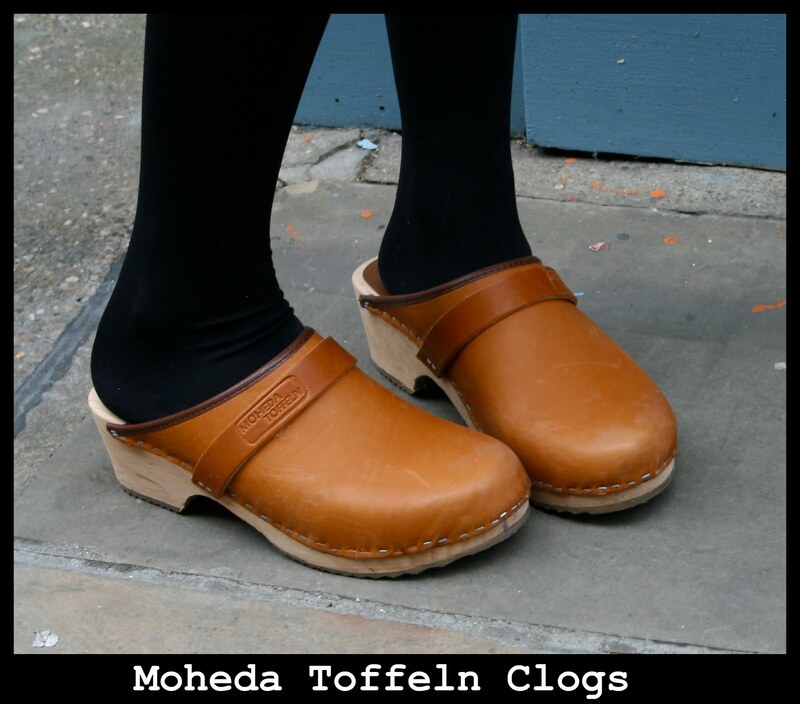 i've had a few e-mails from people asking how to get hold of these moheda toffeln clogs. as they aren't the most conventional or widespread of clogs i thought i'd give a little run down on how to find them. i ordered mine from the manufacturers original site to avoid paying any marked up fees. start by going to the moheda toffeln website. you can chose from a range of styles or just go straight to my pair. pick how many pairs you want (antal), your size (storlek), and add them to your basket (Lagg till krogen). when you are ready to purchase click onto till kassan. the only part that might get confusing is at the checkout where you can select 'Privatperson samt Foretag, Leverans till Ultamingingsstalle.' this just means that you are going to have it shipped the cheapest way possible. this is what i selected and once my order was processed i received it after just a few days and we didn't even have to pay any shipping fees. if you've got any questions just let me know or use google translate. i seriously love these little clogs. they are super comfy and were really easy to walk in even when wearing them with tights. they don't slip or rub and i haven't even fallen - despite the cobblestone roads over here. plus, if you aren't sure about spending a lot of money to buy into the clog trend and want something that is quite traditional i would definitely recommend this pair. p.s. the price converts to 26 GBP which is a total bargain.